Excellent meeting with leaders of the Tri-Town Council and area legislators to discuss opioid and substance abuse education and prevention among youth and how we might be able to help one another with resources. 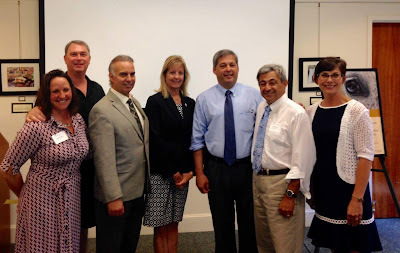 I was pleased to attend the legislative briefing held at the Topsfield Library which was hosted by Lisa Teichner, Executive Director of the Tri-Town Council and Meredith Shaw the Coalition Program Coordinator. Representative Brad Hill , Representative Ted Speliotis, Representative Lenny Mirra and Senator Joan Lovely attended this important discussion. The Council’s mission is to reduce and prevent at-risk behavior and to promote the well-being of Tri-Town youth. Through collaborations with kids, parents, schools, local police officers, and community organizations they identify potential avenues to teach children how to be safe and healthy through good decision making.